Swedish Landrace Pigs are the leading breed of pig in Sweden. They have heavy drooping ears and a white coat. 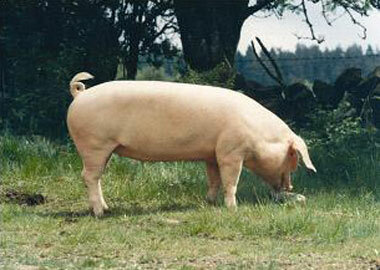 The Swedish strain of the Landrace pig originated from importations from neighboring countries, particularly Denmark.